Below you can view all the homes for sale in the Idlewood Acres subdivision located in Tucker Georgia. Listings in Idlewood Acres are updated daily from data we receive from the Atlanta multiple listing service. To learn more about any of these homes or to receive custom notifications when a new property is listed for sale in Idlewood Acres, give us a call at 404-998-4097. The Neighborhood Is Served By The Great Schools Of The City Of Tucker And Is About 20 Minutes Away From Emory University And Downtown Decatur, I-285 And National Highway 78 Are Minutes Away From The Property. MLS#6531682. Virtual Properties Realty. Biz. Additional Photos Will Be Available Soon! 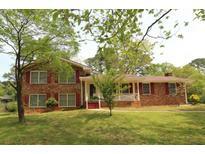 MLS#6526038. Realty Associates Of Atlanta, Llc..